A column devoted to what we as members do outside of the norm of publishing stories. We all have certain interests and hobbies--professional accolades or not, trying in our own unique way to make this a better world or at least our part of it, imparting to others that special side of who we are or just simply being who we are. I struggled with what I wanted to focus on and what points to bring up as I wrote this. Simply saying I write lyrics is not enough as there are so many similarities with novels and shorts and poetry and, in the same instance, it is very different. For me, a journey that began a couple of decades ago with the normal ups and downs became a part of who I am and how I look at the world. I belong to the Songwriters Guild of America, an organization not unlike the HWA, learning from others in the chosen field and in my own small way trying to impart to others what I have learned as I have grown. We network, talk between each other, critique, learn better ways to grow, and help others to grow. Members may be someone who has thought about writing songs to those that have been licensed in the field to the upper echelon that walk the stage accepting awards. Belonging to one particular association in music is a serious decision, as contracts are involved, precluding you from joining multiple orgs. You put all of your eggs in one basket, so to say, and depend financially on that company. Others choose to go it alone and produce their own songs without the various professional companies. Anyone who knows anything about me knows I write poetry. I’ve always written in that form and love poetry as a form of expression of what I see and experience as I walk through this life. It is a subjective form of expression as one poem may mean one thing for one person and something completely different for someone else. That is the way of music in the truest sense. And that is the beauty of music. I started years ago collaborating with lone artists, offering my style of poetry, learning along with them as we progressed through the songs. My first song, "The River," never went beyond cassette tape (yeah, the old days). But it is still the most beautiful song I will ever listen to ... yes, I am biased. I still have that old worn-out--spliced multiple times, lovingly placed into different cases--lost and found treasure that I will always hold close to my heart. It is like your first love. In the depth of the night as a memory stirs deep in your soul that drags you from bed so you may listen to that fleeting song. Have you heard my lyrics on the radio or at a concert? Possibly, if you listened to country a few years ago; I worked with a band or two before they "made it," and a couple after they did. Music in some ways is not unlike the world of novel publishing. Whom you connect with and build business relations with can be long-lasting or end within days or once that particular person or company climbs a few steps--they may opt to only publish the well-known or legends. I’ve worked with groups that never made it past the garage stage and others that have performed at local venues; others moved to the national stage. At times, I was thrilled hearing the applause and other nights, I slunk away knowing they weren’t going anywhere. The artists are intrinsically tied to you, but as they are the face, they are the ones noticed by the listener. Rarely do listeners look beyond the tune to who wrote the song. Yes, I am being intentionally vague. I made the mistake at my day job of mentioning offhand that I wrote a particular set of lyrics, and after that, people came up to me asking all sorts of uncomfortable questions or inevitably most conversations would turn to that aspect of my life. It's a mistake I do not want to repeat as people are naturally fascinated by the unusual. That is just a tiresome aspect, and being in the background has a certain appeal for me. As I grow in the horror genre, I will connect that part of me with my name, but will keep the other genres separate, as it is simply traveling in different circles. In music, you have to forget the past and concentrate on your special talent and hopefully create the next wave. Many artists never made it beyond one song or album because they never looked at where the market was going–they forgot the importance of evolving in their art. We all know these one-hit wonders. In this digital age, anyone can become a video sensation, and with the appropriate equipment, record and become known. But you can never let go of your roots; you never know--you may start the next craze, unlikely as that is. The most successful artists/lyricists began as poets, telling stories that translated into music, and the lucky ones collaborated with geniuses who could turn any set of lyrics into music. A song can come from anywhere. The full range of creativity is only curtailed by the writer and the composers involved in the project. Even having credits now, I find it difficult to go beyond the submission stage. I have had a little luck, with one piece recently picked up and I am working with a European band with their next two albums. I will release information as I am able. In the modern market, one major problem lyricists run into is the sheer glut of other songwriters in the field. This has led to the self-publishing world of music in the digital age. For every composer there are upwards of twenty songwriters--pretty tough competition. Most people think they can write killer poetry or music lyrics, and, in most cases, it is not true as it takes years of study and failure to reach a certain level. Poetry goes hand in hand with songwriting, yet differs as songs are meant to be sung, not read. We all want to have that perfect hook in the first three seconds of the song. Modern horror poetry is vastly different. It is not supposed to rhyme and in many aspects should be harsh. This, in my opinion, has led to opportunities for modern horror poets in the extreme metal circuits. We all have differing opinions of what makes a poem and what makes a song. Whatever style or genre of music we write, passion is at the core. We write in different forms, though the lyric mode, first-person narrative is the most common. Nirvana, Radiohead, Bush, Nine Inch Nails, Rolling Stones are a few examples. Dramatic mode conveys a specific message to a person or a group, as in Elton John’s "Candle in the Wind," a fitting tribute to Princess Diana. Yet, Elton had the pure genius of Bernie Taupin behind him, a poet of considerable worth. As was pointed out by a friend, some of the best poets of our day moved into the music field, leaving the mainstream poetry world behind. Some may agree with my take, while others won’t, but this is the way I see things. I bring this up as we all write and we know it takes years to learn in whatever particular form we create. You may create best in one certain style, while in others you may not be suited. Music is no different, though times do change, and methods and rules are flexible. Mostly, the lyrics are written away from the composer unless you work in concert with the band. Yet that is chance if you tie yourself to a particular band as they come and go in the blink of an eye and styles come and go just as fast. When I start something new, I begin with a feeling. The inspiration can come from anything. The dashboard of my car is peppered with sticky notes with a line or two scrawled on each. For some reason driving down a back-country road or flying over the freeway seems to release my mind from everyday worries. To me the title personifies the whole piece and becomes a starting point, as everything in it will evolve around that. One aspect of songwriting that I enjoy is seeking out new or emerging talent. The various social media platforms are a great way to find people or groups that with the right amount of drive and passion have the potential to go far. It has been mentioned multiple times on the net, but how you act and react to people can help your career or kill it just as easily. When I spot someone, I will watch them and evaluate that person. Publishers and writers are no different. We as writers look to those that treat others well and are professional in their careers. On the other hand, publishers take notice of writers who stir up trouble or cause general mayhem in the social media realm. We all don’t agree on everything, but how you act in public is of major importance in music and, to a great extent, it's the same in the book industry. I don’t want to get bogged down in the aspects of how you are perceived, but it's beyond tough to break into music. Most companies or representatives will tell you to simply give it up--if they respond at all. You have to have the drive and the need at the center of your soul to create. You just have to mainly write for yourself and if that turns into something professional, that’s just icing on the cake. In the course of a few months, I learned of a talented young lady who goes by the stage name "Ligeai Resurrected." Her amazing mezzo-soprano vocals lend greatly to her Gothic lifestyle and her potential in the musical field. Her first single, "Black Diamond," is currently in production and slated for release in the near future with plans of a full album soon afterward. I decided to join as associate producer, not only because of the talent brought together for the project--Eric Vernor, Drake Mefestta (keyboardist and composer for URN), Mike LePond of Symphony X, and Kevin Eads--but mostly because of her drive and potential and her natural ability to connect with people. This one aspect is what makes the field so rewarding. In many ways, publishing is the same as it grows with twists and turns, too. It is great to see new talent take up where the more established have left off, evolving this form of creativity into the music of tomorrow. With luck and experience of all involved, the person you support will continue to grow and produce music that will inspire others and make this world a better place. 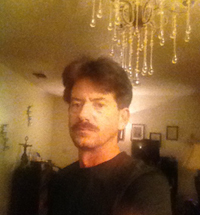 Michael Randolph is a horror author, poet, lyricist, and associate producer currently residing in San Antonio, Texas. His work has appeared in multiple anthologies, Burial Day books, and Dark Eclipse Magazine with one poetry collection, Missives in Red, published June of 2013. He has his second poetry collection, Allegories of the Dead, and a horror novel, Descent into Darkness, coming out in the near future.